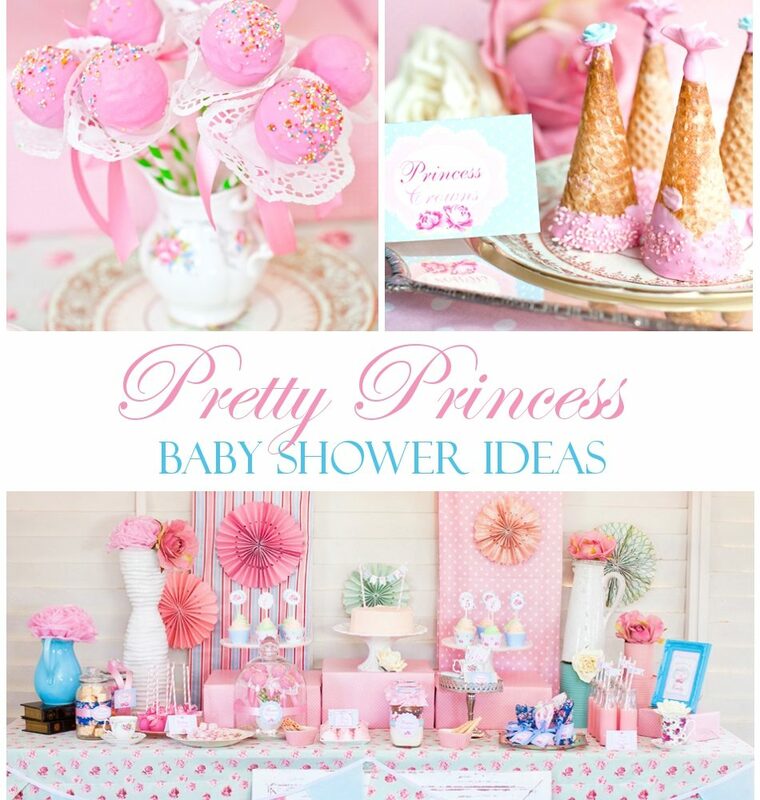 With a little princess on the way, celebrate like royalty and have a princess baby shower! Everyone will have a wonderful time celebrating the queen and the impending arrival of her darling little princess. Practice your curtsy and dust off that tiara because you’re in for a princess celebration to remember for a lifetime! You may find really cute princess-themed invitations at a store such as Hallmark or iParty, but if you really want to make that first impression a good one, order customized invitations online. You can order a customized digital file for a small price and have them printed up at a photo center which doesn’t cost all that much, either! This invite design from SunshineParties on Etsy, for example, is adorable and the JPEG file only costs $18.00. You would spend at least that much if you were to purchase those packs of invites at the store. The best part is, this saves the headache and hand ache of filling in all of those blanks on the store-bought invitations. Nothing says princess like tiaras and lots of pink! 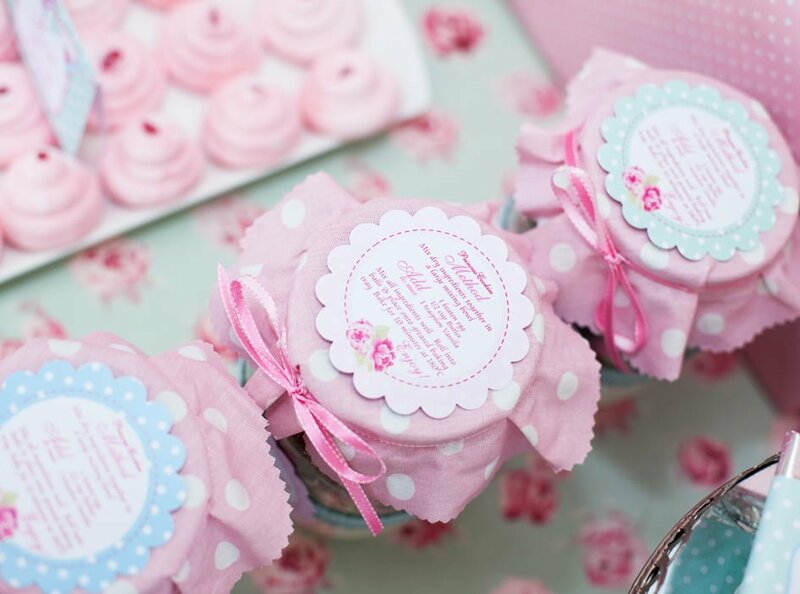 These two things are essential for every princess baby shower (If you’re really not a fan of pink, try purple instead). 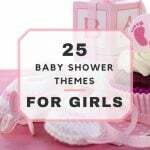 Use many tones of pink, or coordinate with other colors that the mama-to-be fancies. Mixing patterns in with this theme, such as polka dots or stripes, will add a really nice contrast to the decor. Queen’s throne: With a princess in her belly, the queen will need a comfortable place to sit during the baby shower. We’re talking royalty. Take the most comfortable recliner in the room and dress it up to look like a throne. Don’t forget the crown! Tulle table skirts: Dress the tables, literally. 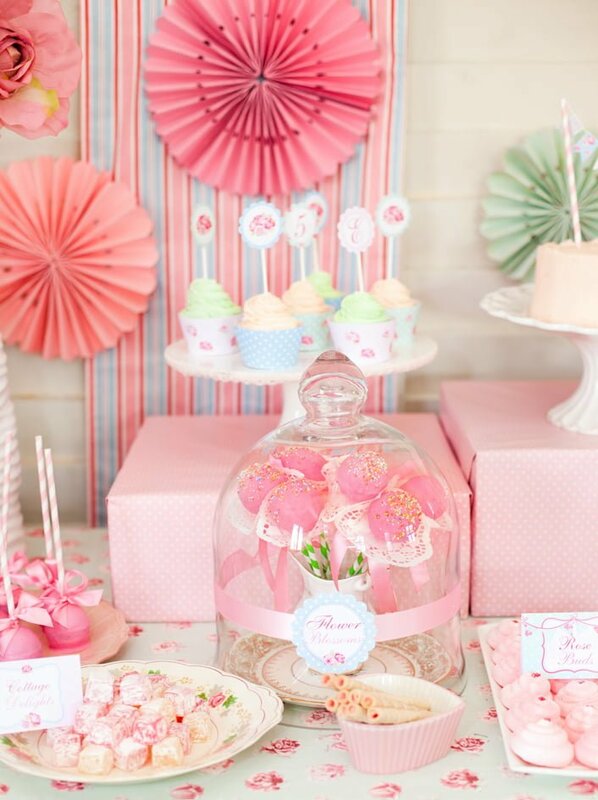 A pink, ruffled tulle table skirt will give the table an appearance such as that of a princess’s dress. 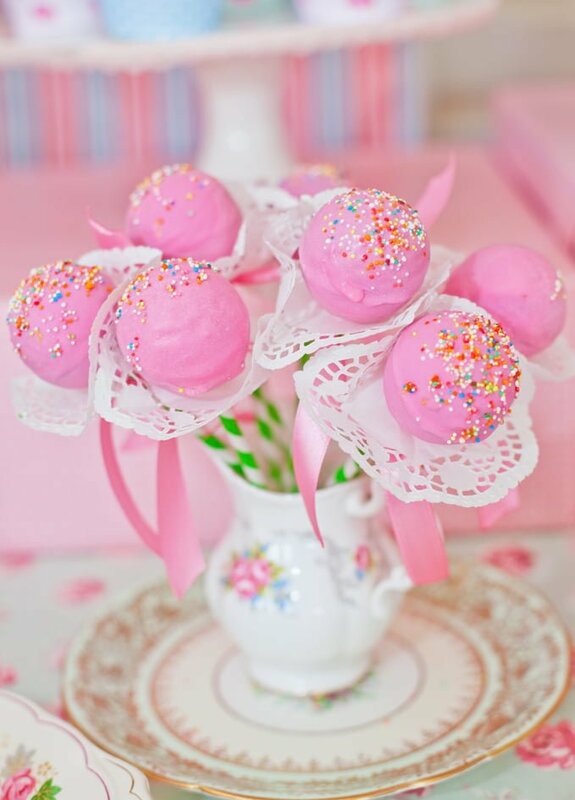 Princess puffs: Use pink tulle to make puffs; string them like garland and dangle some puffs from the ceiling. 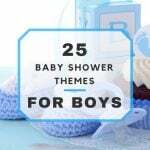 This is certain to add to the ambiance of the princess baby shower theme! 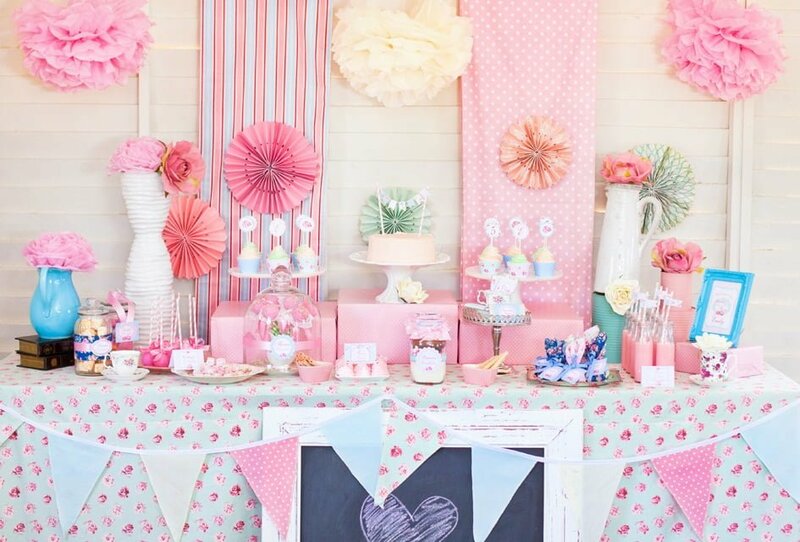 Special thanks to SunshineParties for this adorable Shabby Chic Princess Baby Shower design! 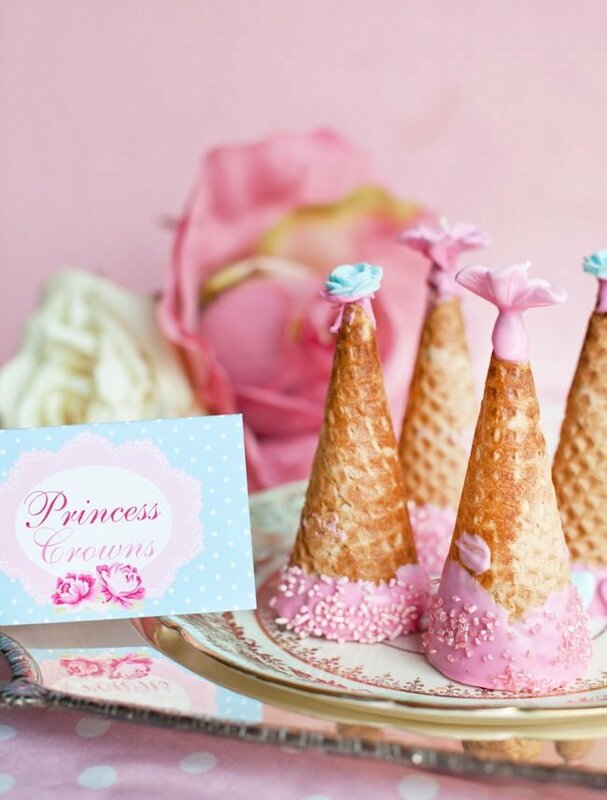 Royalty royal tea: A princess party is not complete without a signature hot tea. 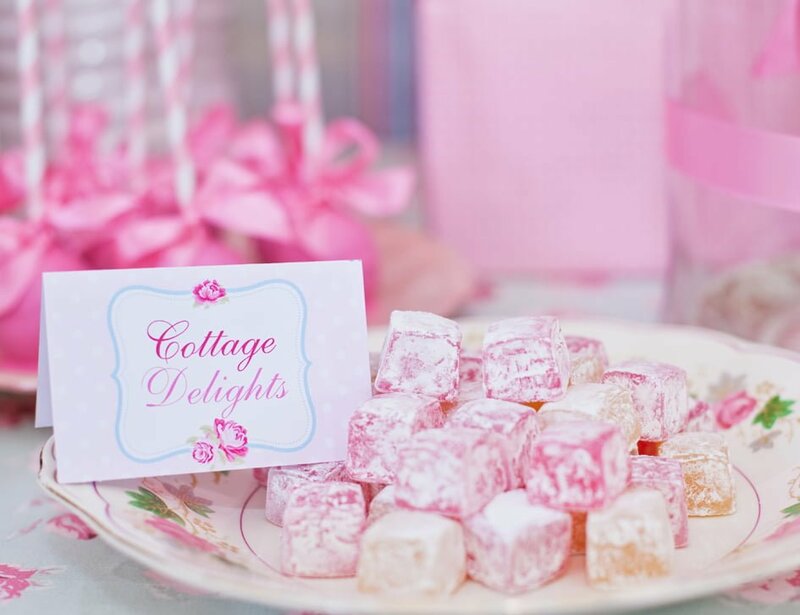 Break out that fine china that your grandmother gave to you and have the tea party of a princess! Princess wands: Take strawberry wafers and dip one-third of each one in chocolate. What a wonderful treat to serve with tea! Tickle me pink fruit feast: This requires white chocolate tinted pink in a fondue fountain. Surround the fountain with a smorgasbord of fruit and fondue sticks adorned with rhinestones. This is always a princess pleaser! Crownwiches: Use a crown-shaped cookie cutter and cut slices of bread in the shape of a crown to use for sandwiches instead of the traditional triangle shapes. It’s okay to play with your food sometimes! Tiara toss: Much like horse shoes or ring toss, but you can take the concept and decide how it is played and scored. Perhaps the winner will get a tiara as the prize! Build-a-tiara contest: Have a little craft station set up to keep the little ones busy. Include supplies such as construction paper, pipe cleaners, glitter, glue sticks, rhinestones and all kinds of odds and ends. The kids will have a blast, and one royal winner will be crowned! Name that princess: This is a good time to brush up on the Disney princesses! Give three hints about each princess, and whoever guesses the most correctly takes the prize! 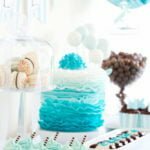 Every princess knows the etiquette for a baby shower includes handing out favors to say thank you, and it can’t just be any favor. 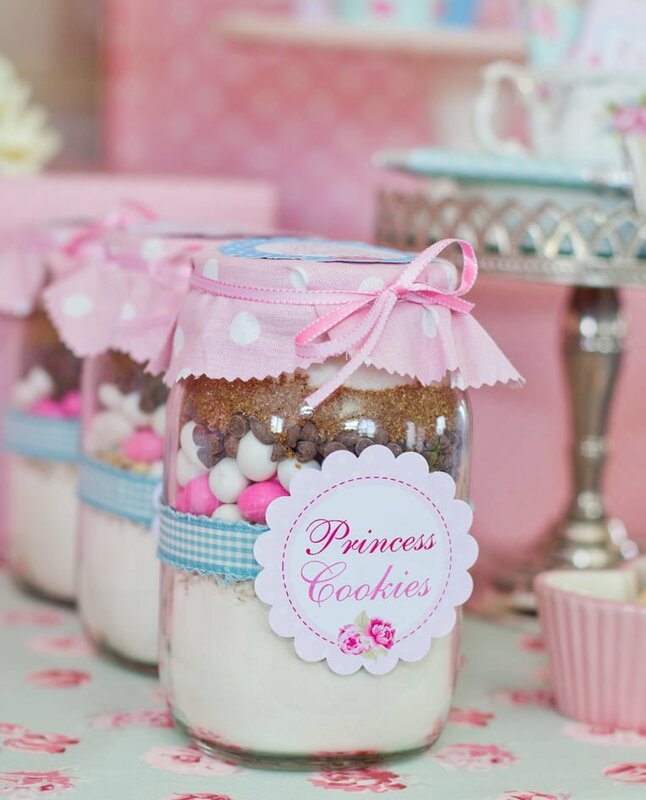 Royal celebrations call for royal favors, such as crown-shaped cookies or yummy princess cupcakes. Then polish your crown and call it a day because that was a lot of work!